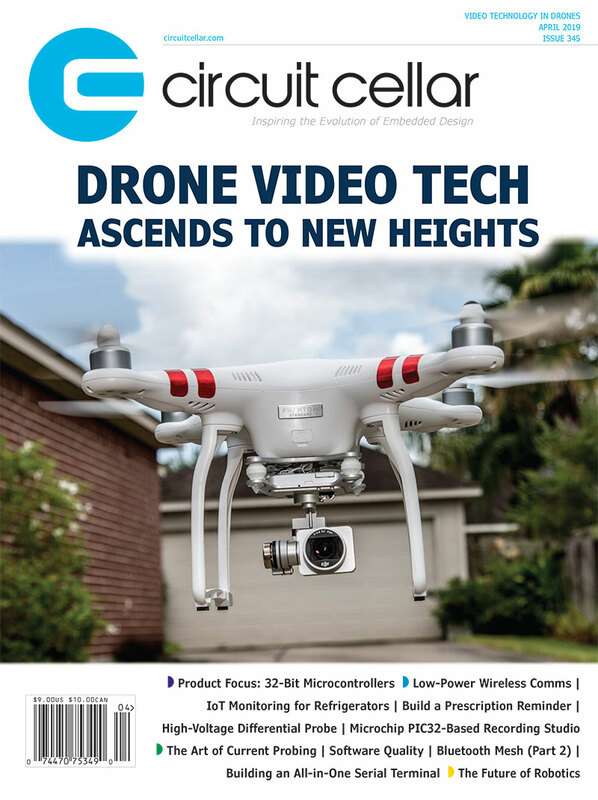 During the last 25 years, hundreds of the world’s most brilliant electrical engineers and embedded developers have published articles in Circuit Cellar magazine. But only a choice few had the skill, focus, creativity, and stamina to consistently publish six or more articles per year. Ed Nisley is a member of that select group. Since Issue 1, Nisley has covered topics ranging from a video hand scanner project to X10 powerline control to Arduino-based designs to crystal characterization. The cable in the upper-left corner went to the serial port of my Genuine IBM PC AT. The hand-wired circuit board in front came from an earlier project: an 8031-based video digitizer that captured single frames and produced, believe it or not, RS-232 serial data. It wasn’t fast, but it worked surprisingly well and, best of all, the board was relatively inexpensive. Having built the board and written the firmware, I modified it to output compressed data from hand images, then wrote a PC program to display the results. 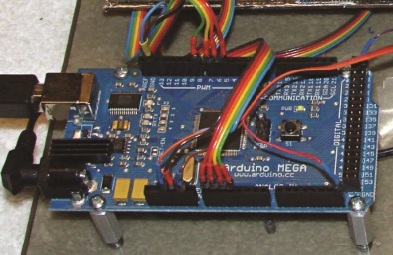 Combining a TV camera, a prototype 8031-based video digitizer, and an IBM PC with custom firmware and software produced a digital hand scanner for Circuit Cellar Issue 1. The aluminum case came from an external 8″ floppy drive! The robust aluminum case originally housed an external 8″ floppy drive for one of my earlier DIY “home computers” (they sure don’t make ‘em like they used to!) and I assembled the rest of the hardware in my shop. With hardware and software in hand, I hauled everything to Circuit Cellar Galactic HQ for a demo. The processors, from the Atmel AVR microcontroller family, date to the mid-1990s, with a compiler-friendly architecture producing good performance with high-level languages. Barely more than breakout boards wrapped around the microcontrollers, Arduinos provide a convenient way to mount and wire to the microcontroller chips. The hardware may be too expensive to incorporate in a product, but it’s ideal for prototypes and demonstrations. The Arduino microcontroller project provides a convenient basis for small-scale projects like this NiMH cell tester. Simple interconnections work well with low-speed signals and lowcurrent hardware, but analog gotchas always lie in wait. Even better, a single person can still comprehend all of a project’s hardware and software, if only because the projects tend to be human scaled. The Arduino’s open-source licensing model fits well with my column’s readily available hardware and firmware: you can reproduce everything from scratch, then extend it to suit your needs. This entry was posted in CC Blog and tagged Arduino, Atmel, AVR, CC25, Circuit Cellar, DSP, embedded development, embedded programming, IBM, issue, microcontroller, programming by Circuit Cellar Staff.